Walking down Third Street Promenade, a crowd is gathered in the middle of the street on a Saturday morning—a typical sight to see in Santa Monica. As you approach, you try to see what the fuss is all about—perhaps a dance crew or a living statue—but no, not this time. 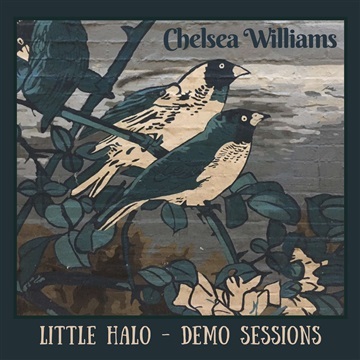 You’ve just entered into the soulful musical stylings of Chelsea Williams. This promenade favorite has single handedly built her music career literally on the streets of Los Angeles—a coveted dream for many in la­la land. Moving from Columbus, Ohio to LA, Williams was destined for a career in music. With a grandfather who played the standup bass and a mother who pursued a songwriting career, Williams found herself seeking guitar lessons and locking herself in her room to play music and write songs from a young age. She quickly learned music was the career she wanted. Back in her late teens, she could be found performing at coffee shops and open mics around the city. But soon, the time came for Williams to get serious in order to support herself as a musician. Thanks to some advice from a friend, she took on a new gig at Third Street Promenade in Santa Monica where artists come to share their talents. It was the start of her music career. She has since built a following, has sold over 100,000 albums one by one on Third Street, and has had the opportunity to open for artists like Dwight Yoakum, The Avett Brothers, Colin Hay, and Tyler Hilton—giving much of the credit to her exposure at Third Street. Her flawless performances and raw sound have broken the mold of current music. The realness of her voice and the soul beneath her lyrics are beyond compare to the synthesized music heard on pop radio today. An exciting start awaits Williams in 2017. She has landed a record deal with Blue E´lan Records. 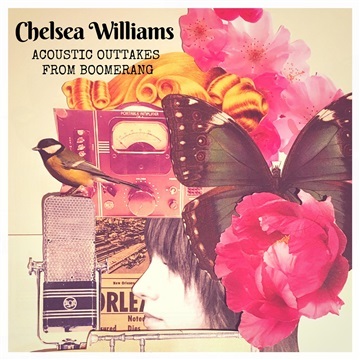 For the first time, Williams has been given the opportunity to create the music she’s always dreamed of. Her full length record is due out in early Summer of 2017.